Brexit poll suggests UK voters leaning toward Britain exit from euro . Because of this survey poll, GBP suddenly gone south. I was not aware of the news so could not capitalize on the trade. There was a massive move on gbpusd and gbpjpy more than 80+ pips move. I saw the moves live as i trade New York session. When i had the confirmation that it was a momentum candle, i could have positioned myself on a suckback. But i was little worried of retrace and brutally honestly, trading momentum candle was out of my mind totally. Had i taken it , i would have had at least 100+ pips profit. Rather i ended the day with -16 pips. Before the new york session, i read gu and gj both in fat range. My trade plan was to take the range break out. You see the big red move in the picture. 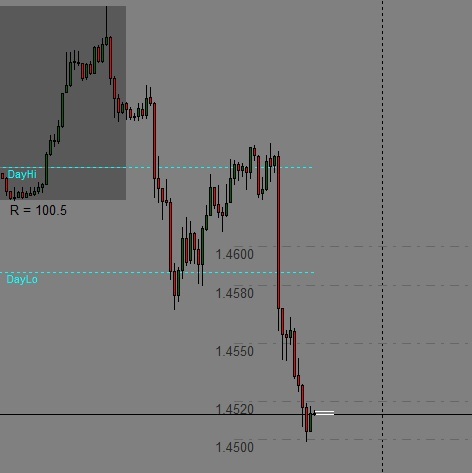 It did break but retraces was too big and i would easily stop out with my 10 and 12 pips SL. So for this trade, momentum suckback trade was the best strategy. So lesson learned, when you see momentum candle of at least 50+ pips on few pairs, take the trade !